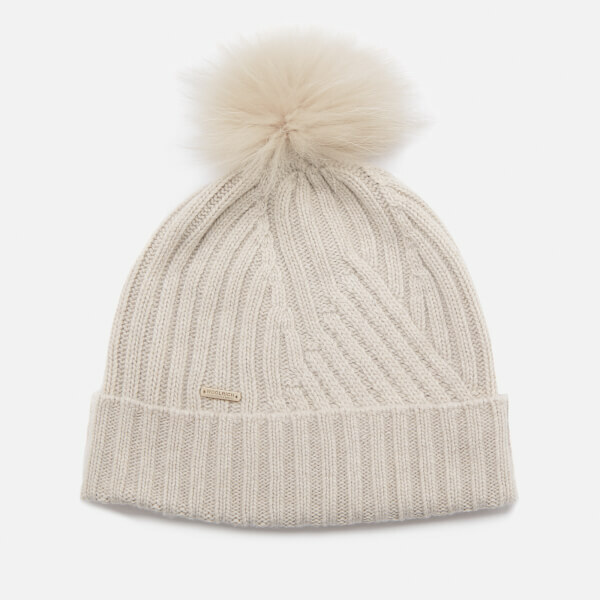 Women's soft wool hat from Woolrich. 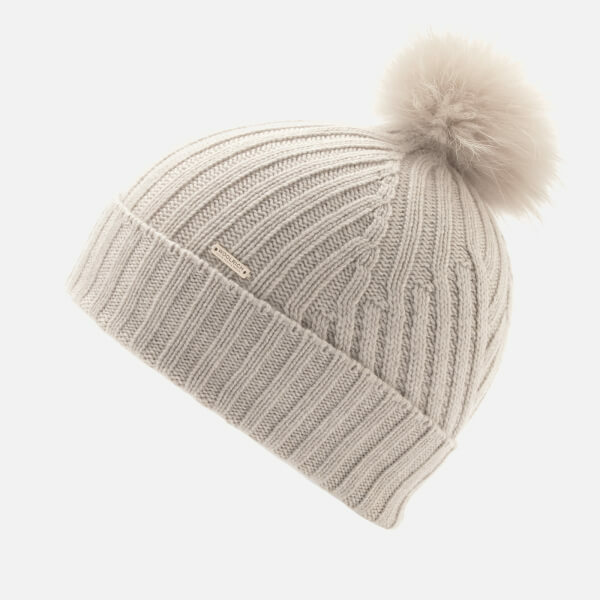 Crafted from a comfortable cashmere wool blend, the beanie showcases a cosy ribbed design with a turn-up cuff and a certified Saga Furs® fur pom pom at the crown. 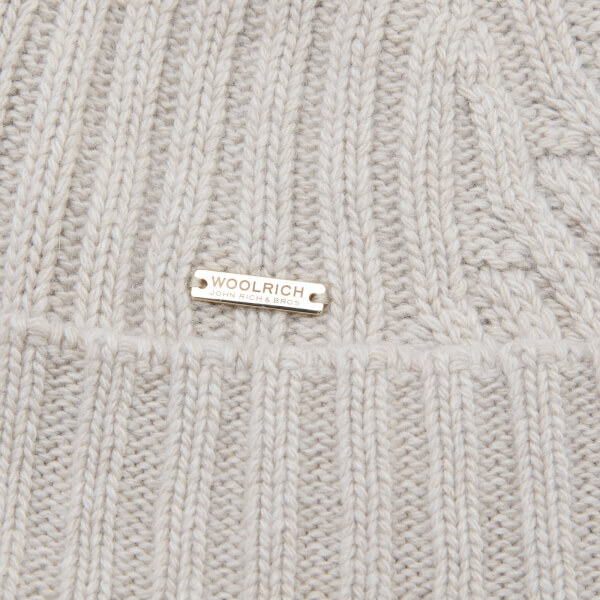 Finished with a gold-toned brand tag.